Seven Amazing Books about VARDANKAR Now on Amazon.com!! New Release for November 18th 2018, Dialogues With Rami Nuri! Please click on book covers to go to Amazon to order or read the descriptions! Thousands of Visits to Heaven and the Heart of God: "The Most Profound, Vividly Detailed Out of Body Discoveries Yet!" We can go beyond Near Death Experiences, beyond Astral Travel, Meditation and Prayer to visit many Heavens and even reach the Heart of God while still living in our Earth bodies. This book vividly details some of the Authors’ literally thousands of incredible visits to many levels of Heaven. 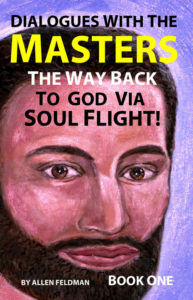 In this landmark book, which is based on the Ancient Science of Out-of-Body Tuza (Soul) Travel, the authors not only describe the various worlds upon worlds that you can visit, but show you the how’s, why’s and methods to leave your physical body safely and travel with the aid of a group of little known VARDAN Masters whose job it is to show Souls the way back home to the Ocean of Love and Mercy where dwells God. These Spiritual Travelers can accompany a Soul and show that Soul the way into the various levels of Heavenly worlds past all illusion, eventually into the Very Heart of God! While this book flies in the face of conventional religion, philosophy, science and dogma, it is based on the personal experience of countless Souls who have made this sacred journey including the Authors themselves! We learn the names of the various planes or worlds, how to travel there and what the pitfalls are. We learn the methods that run contrary to most advice given by self-help gurus and religious and new age leaders. We learn that the negative power has been running these lower universes as a sort of self-constructed prison for Soul’s spiritual education and we learn how to graduate from the Wheel of Eighty-Four, which is the seemingly countless series of Incarnations on Earth and other planets as well as incarnations on the various other material worlds, some that mimic Heaven but are mixtures of positive and negative and not Soul’s true home. This book is filled with personal experiences and instructions based on real world wisdom that flies against conventional wisdom that is so-called main stream or even the unconventional new age movement. It is no wonder most are trapped, for without true Wisdom and true spiritual instruction on how to leave the physical body and venture into these various worlds beyond the Physical and Astral plane, Soul is lost in a sea of confusion and paradoxes. This book is for the bold, adventurous and those who desire God more then life itself! It shows how to partake of the very Living Waters of life — the Audible Life Stream or VARDAN (Spirit). One caution however, this book must be read with an open mind since it challenges religious and spiritual dogma. If this is done, we can guarantee you will never be the same again. Your life will change; for in time Divine Truth will set you free. 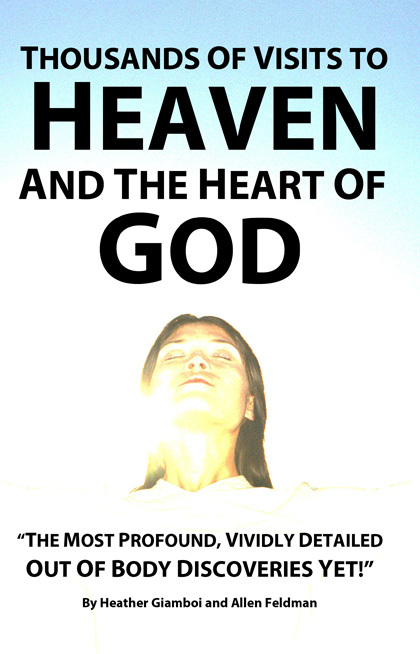 Please click here to go to Amazon.com to order Thousands of Visits to Heaven and the Heart of God: "The Most Profound, Vividly Detailed Out of Body Discoveries Yet!" Allen Feldman the Author, is the chief proponent of VARDANKAR the Ancient Science of Total Awareness also known as Soul Projection. In this book he speaks with the great VARDAN Master Rami Nuri among others and Soul Travels or Soul Projects, into various planes and worlds. There is much dialogue as well as vivid experiences described as best as possible about the Far Country or other worlds beyond this one! Those worlds are also known as Heavens or Heaven. There are many, including the countless worlds above Matter, Energy, Time and Space far above the Astral Plane, Causal Plane and Mental Plane found in the world of Sat Nam and beyond this. 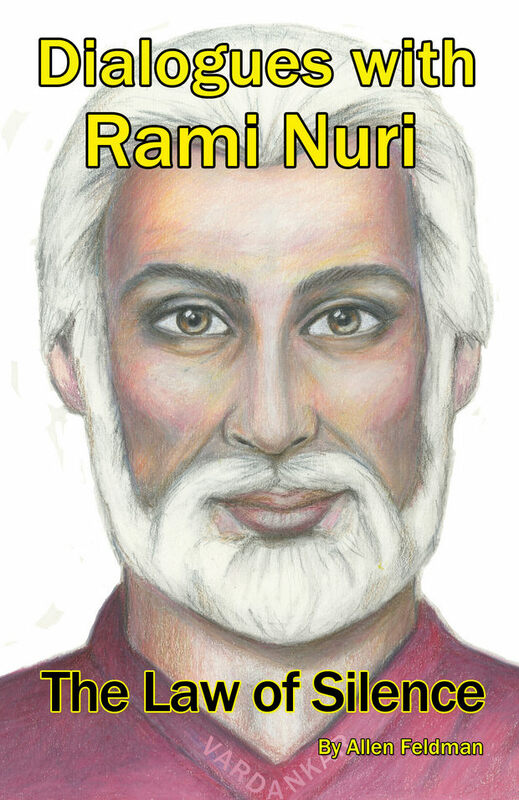 The Amazing Rami Nuri lives in the city of Retz on Venus in the super-physical where he is the guardian of the Golden Wisdom Temple known as the House of Moksha, also known as the House of Imperishable Wisdom. Only those who are truly ready are invited to hear his Golden Words of Wisdom about how man in his true and eternal self Soul, can gain Self Realization, God Realization, Total Awareness and VARDAN Mastership in a single lifetime! Souls also study the Shariyat-Ki-HURAY also known as the Way of the Eternal. There is a volume in each of these Golden Wisdom Temples! The Spiritual Worlds are truly the last frontier where Souls finally graduate from Reincarnation and find Truth. Not theoretically but the experience of God Realization and the establishment of Soul in the Pure Positive God Worlds of Total Awareness within a single lifetime and before the death of the physical body! 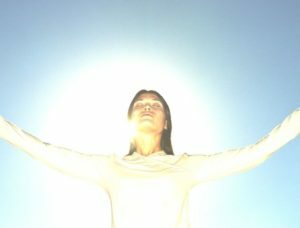 How To Rise Above The Lower Worlds Of Matter, Energy, Time And Space And Consciously Work With The Pure Spiritual Power Of God! In this book is contained some of the great keys to unlocking the very mysteries of God via Out of Body Projection also known as Soul Projection using the ancient methods of the VARDAN Masters, a group of Spiritual Adepts who have always been with mankind since the very beginning of time, ready to show those who love God how to return to the Pure Positive God Worlds or many levels of Heaven beyond Matter, Energy, Space and Time!! Rebazar Tarzs, who is a Tibetan Lama and VARDAN Master is reported to be over 550 years old in the same physical body although he appears in his thirties! These Masters are masters of what is sometimes known as Bi-location or Soul Projection where one projects placing their awareness upon a particular plane of existence and is there in the blink of an eye! In this book are some of the most vivid and detailed descriptions of some of these God Worlds or levels of Heaven. Although impossible to describe many of them accurately, every effort has been attempted to not only do such but to explain the methods used to obtain one's own experiences of them! There is no need to wait until the death of the physical human body to experience the exalted worlds of Heaven. God or what is known in VARDANKAR as the HURAY exists in the here and now and man can bring his consciousness via the VARDAN Audible Life Stream into these lofty heights using the Secret Teachings of VARDANKAR! 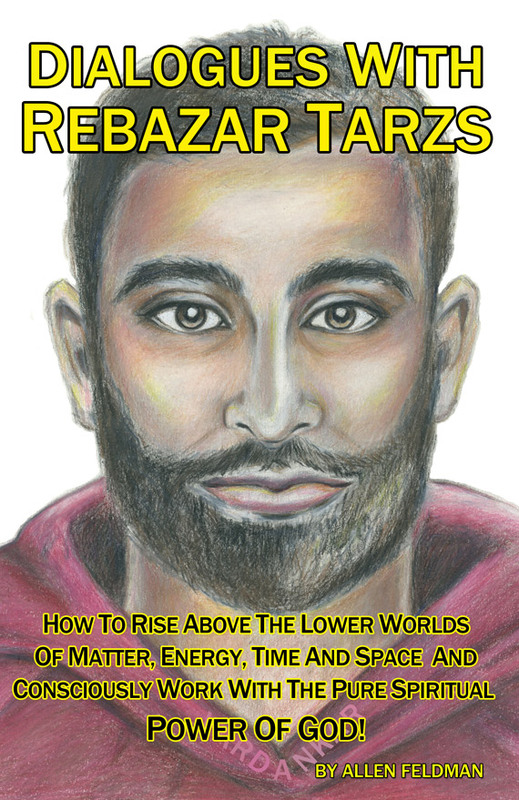 Dialogues With Rebazar Tarzs: How To Rise Above The Lower Worlds Of Matter, Energy, Time And Space And Consciously Work With The Pure Spiritual Power Of God! This amazing book will show you how, with the help of certain Spiritual Travelers you can leave your physical body and venture into various worlds of Heaven and even reach true Self and God Realization like some Saints and Mystics have done for thousands of years! Here three Ancient VARDAN (Spirit) Masters: Rebazar Tarzs, Yaubl Sacabi and Kata Daki give us their timeless wisdom and message of hope for mankind in the form of the advanced methods of Out-of-Body Tuza (Soul) Travel that goes beyond so-called Astral Projection, Prayer, Meditation, the reading of books, Reincarnation and the endless practice of religious rituals, into the very experience of the various levels of Heaven culminating in the experience of Total Awareness also known as God Realization! Nothing can stop those who are Bold, Adventurous, Cunning and Resourceful and desire truth above all else! It is only the individual who in the end can hold himself or herself back from God. The Author, Allen Feldman has been practicing Out-of-Body Tuza Travel for over thirty-three years and is a VARDAN Master himself. Most of the book contains dialogue from the Ancient VARDAN Masters as given to the Author in the course of three weeks. In this amazing book we learn the difference between the lower worlds that are mixtures of Matter, Energy, Time and Space and the Higher Worlds of pure Divine Spirit (VARDAN). The Ancient VARDAN Masters, explain the vast heavenly worlds from the Astral Plane and its various sub-planes moving upwards through the Causal Plane, (area of Memory), Mental Plane ( area of Mind) and Etheric Plane (area of Unconscious) describing each one and how to reach it. These Ancient Masters who still maintain their physical bodies, some for thousands of years, then cover how to cross the Great Void into the Atma Lok or Soul Plane, the first of the true Pure Positive God Worlds where one reaches true Self-Realization and Spiritual Liberation! From there we learn what exists above even this and finally discuss the very Ocean of Love and Mercy where dwells God or what is known as the HURAY ITSELF! There is little or nothing that really can be said about the HURAY (God) other then that IT must be experienced through the act of Out-of-Body Projection also known as Tuza (Soul) Travel! The Masters give instructions and guidance pointing out the pitfalls and methods that can be practiced in as little as forty minutes per day. We learn that Metaphysics, Religion, the Occult, Meditation, Science, Philosophy, the so-called New Age Movement and the like, have it all wrong! They are worshiping some form of the negative power which is also known as the Universal Mind Power, the Brahm, Kal, Jehovah, Lord God. It has countless names but it is a dichotomy or mixture that contains opposites of Good and Evil, Light and Dark, Mountains and Valleys, Love and Hate. It is not pure Spirit but a mixture of Spirit, Matter and Mind. In order to know truth, Soul must go beyond its mental body, in fact Soul must go beyond all of its five lower embodiments in order to find truth! Truth as a drowning man desires air! Truth is experienced and not just thought about, emotionalized about, philosophized about or theorized about. This book will set one on the very path of Experiencing truth at a level most dare not go! The very heart of our eternal self and of God ITSELF! Dialogues with Yaubl Sacabi: A Vivid Journey From Earth to the Fathomless Worlds Of Heaven! Allen Feldman the Author, is the chief proponent of VARDANKAR the Ancient Science of Total Awareness also known as Soul Projection. In this book he speaks with the great VARDAN Master Yaubl Sacabi among others and Soul Travels or Soul Projects, into various planes and worlds. There is much dialogue as well as vivid experiences described as best as possible about the Far Country or other worlds beyond this one! Those worlds are also known as Heavens or Heaven. There are many, including the countless worlds above Matter, Energy, Time and Space far above the Astral Plane, Causal Plane and Mental Plane found in the world of Sat Nam and beyond this. The Amazing Yaubl Sacabi among other Ancient VARDAN Masters have physical bodies and Yaubl himself lives in a spiritual city high in the Himalayan mountains of Northern Tibet where he is the guardian of a Golden Wisdom Temple known as Gare Hira in the city of Agam Des where only those who are truly ready are invited to hear his Golden Words of Wisdom about how man in his true and eternal self Soul, can gain Self Realization, God Realization, Total Awareness and VARDAN Mastership in a single lifetime! Souls also study the Shariyat-Ki-HURAY also known as the Way of the Eternal. There is a volume in each of these Golden Wisdom Temples! The Spiritual Worlds are truly the last frontier where Souls finally graduate from Reincarnation and find Truth. Not theoretically but the experience of God and the establishment of Soul in the Pure Positive God Worlds of Total Awareness within a single lifetime and before the death of the physical body! 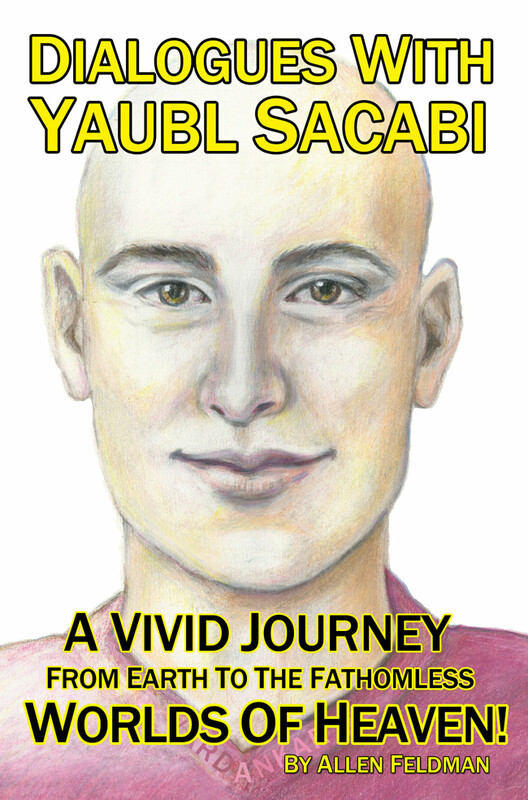 Please click here to go to Amazon.com to order Dialogues with Yaubl Sacabi: A Vivid Journey From Earth to the Fathomless Worlds of Heaven! 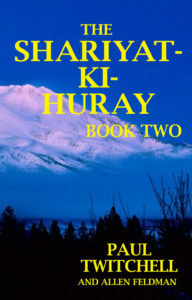 We also have The SHARIYAT-KI-HURAY Books One and Two free in PDF and for sale on Amazon.com in printed form. The SHARIYAT is the Ancient Scriptures of VARDANKAR the Science of Tuza (Soul) Travel. It was known during Sri Paul Twitchell's time as the SHARIYAT-KI-SUGMAD when VARDANKAR was briefly known as ECKANKAR from 1965 to 1971. The SHARIYAT-KI-HURAY, meaning Way of the Eternal, is the most holy of books and is the Bible of those who practice VARDANKAR, the Ancient Science of Out-of-Body Tuza (Soul) Travel. While the name of the path and Masters change, it has always been the most direct path back to the Godhead.This book is one of several volumes translated from the VARDAN Golden Wisdom Temples where one can study with the Spiritual Travelers and Guardians of these magnificent Temples located throughout the Physical, Astral, Causal, Mental, Etheric, Soul Plane and on every plane throughout the high Pure Positive God Worlds of VARDAN! (Spirit) This is often done during the Dream state. All teachings, whether Religions, Philosophies or Metaphysical systems are the offshoots of the VARDAN teachings which is the Ancient Science of Total Awareness and Tuza (Soul) Travel. Every question ever asked by man is answered in these Volumes. As time permits Volumes 3 and 4 will be released followed closely by 5 and 6. 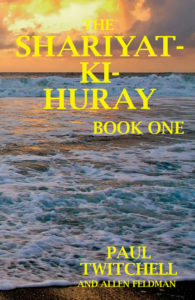 To read The SHARIYAT-KI-HURAY is to have access to the secret God knowledge. Only those with the ears to hear and the eyes to see will understand that what is contained in these great books is the pure truth and wisdom of God and how Soul, our true eternal God-Self, may find its way back to its source and take its rightful place as a conscious co-worker with the HURAY (God) in the mighty Ocean of Love and Mercy where IT dwells beyond all matter, energy, time and space and beyond the field of opposites, good and evil, mountains and valleys. This can and is accomplished during one's lifetime on Earth rather then is an empty promise of some future event happening after the death of the body. We truly learn to die daily during our Spiritual Exercises and learn that death is simply Soul leaving the physical body and that one can safely return to the body and leave at will once they learn how and are under the protection of a true Spiritual Traveler. You Can Experience the Secret Worlds of Heaven Here and Now! Book Description: Return To God NOW is about the insights of two people who have had thousands of wondrous out-of-body near-deathlike experiences to light-filled heavenly places! This amazing book explores near-deathlike experiences and shows you step by step how to have unforgettable journeys yourself. Book Description: Graduate From The Wheel of Reincarnation guides us through the cycles, traps, truths, and techniques that not only reveal our past lives to us but teach us how to finally graduate and move on to more spiritually exciting things. Most books on reincarnation can be very fascinating but the various spiritual gurus, authors, and authorities on reincarnation simply don’t reveal to us how to simply graduate from the wheel of reincarnation, otherwise called the wheel of 84, and transcend to the pure positive God Worlds in order to find Self Realization and God Realization in this lifetime! 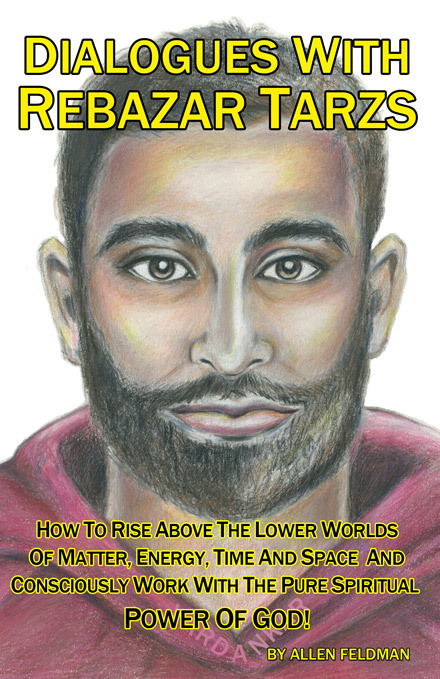 This book goes further than any book on reincarnation has gone before in the one area that is most important of all: graduating from the wheel of reincarnation completely! Book Description: The first clear guidebook that gives you step-by-step instructions on receiving true God Realization and reaching the Ocean of Love and Mercy in your present lifetime. Of actually seeing the face of God…not some manlike being but God who dwells in the Ocean of Love and Mercy far away from matter, energy, time, space, and the universal mind power of the lower worlds of duality. Have you had enough talk about cosmic consciousness, the universal mind, and universal love for all mankind? Are you sick of hearing that on some magical time and date everyone will ascend into heaven simultaneously? Are you sick of being told to have faith and just believe in books or gurus and follow them blindly? Or empty promises that once your body dies or some other physical event occurs you will find truth? What guarantee do you actually have that truth will pour through upon the death of your physical body? Do you long to actually see the face of God in this lifetime and not just think about, read about, or feel emotional about God? This book is written for those who are bold and adventurous in spirit! It shows you how to transcend the lower worlds of matter, energy, time, and space and find God in the here and now! Not in some vague poetic ideal or emotional feeling but the actual experience of Self and God Realization. Then we are born anew. We find that God is more real than any of the lower worlds of time and space and we find we are now a conscious co-worker with God. We have actually touched the hem of God’s robe, seen the face of God, and know our eternal God self that is identical to spirit or the VARDAN. We become conscious drops from the Ocean of Love and Mercy and become omnipresent, omniscient, and omnipotent, and exist in a state of pure being, seeing, and knowing. Then when we return to the Earth we carry this with us, for being omnipresent we discover we always dwell in the pure positive God Worlds while we live our daily lives and carry on our earthly responsibilities. We learn to die daily with no fear for we are eternal God beings. In God we live, move, and have our being! Book Description: Star World is a Novel of Spiritual Science Fiction about intergalactic adventures to different worlds including the mystical planet Solarus where the adventurers meet many ancient VARDAN Masters, and experience breathtaking worlds, profound wisdom, and dangerous rescues from the ominous and powerful Lorzon Drells who are plotting to put humans into a deep spiritual sleep for one thousand years. Experience profound spiritual insights through exciting out-of-body and intergalactic adventures. Sri Allen Feldman became the Margatma, the living VARDAN Master on October 22nd 2013, so there will be many more books to look forward to.